WE HAVE BREAKFAST, LUNCH AND DESSERT SORTED! 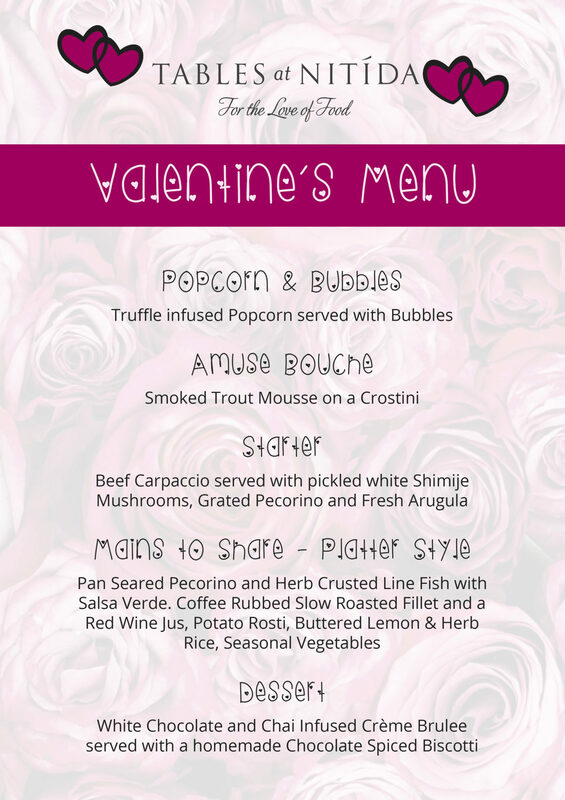 We have been keeping a close eye on our patrons at Tables at Nitida and have come up with the perfect specials to tickle your taste buds in 2019. 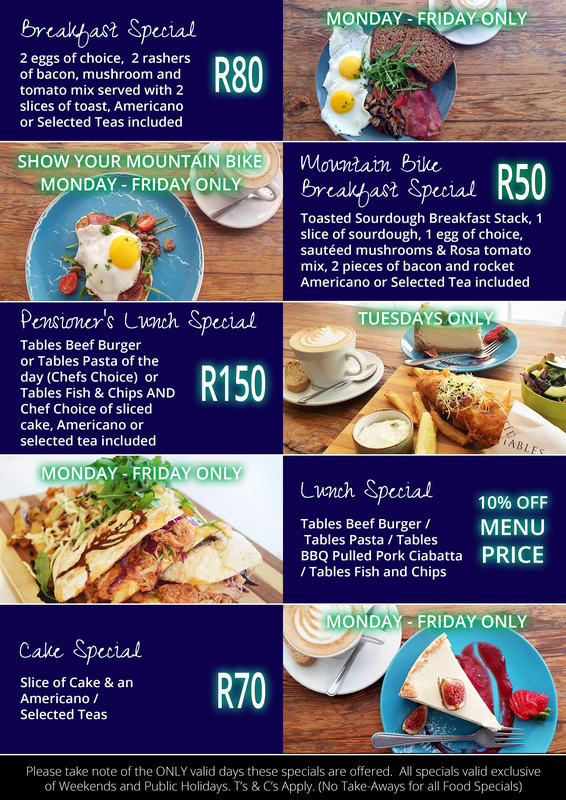 From breakfast specials for our athletic mountain bikers,cake and coffee to a pensioner’s specials for our valued local. Please take note of the days the offers are valid for as well as the terms & conditions. *specials are exclusive of Public Holidays and Weekends.